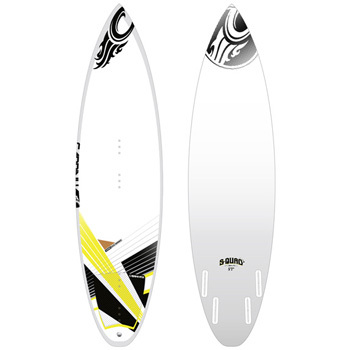 Brand New Firewire Kiteboards have arrived at King of Watersports! The search for the ultimate board can take a life time. Once you think you’ve found something truly special, you start wondering if there is something better out there that can take you to the next level. I think all athletes think about their equipment this way. For over a decade, I have been testing different boards and countless brands, from kite specific shapes to some of the surf industries’ main surfboard builders. It did not take long to see that existing surfboard shapes were the way to go. Why reinvent the wheel when you are trying to imitate surfing with a kite? But the durability of regular surfboards was a problem, unless they were laminated with heavy cloth and then weight was an issue. Recently I stumbled across a completely new option, and all those years of searching suddenly seemed worth it. 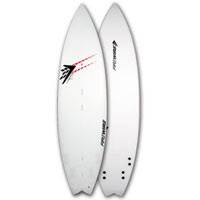 I came across Firewire and their technology over 2 years ago and I was immediately intrigued. I purchased one of the first boards to hit the stores in Hawaii at that time. Two waves in and I felt something I had never felt before in a kiteboard. 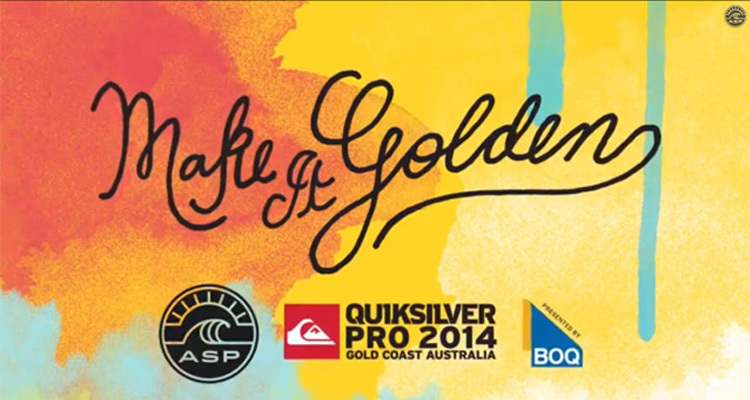 The board was so alive and predictable and I felt I could take it anywhere on the wave I chose. A new benchmark had been set for the type of board I was looking for. I managed to get my hands on a couple more boards to see if that first feeling was consistent. The more I rode them the stranger it felt riding anything else. The lively feel and snappiness could not be beat. I ended up buying boards and spraying them to make them look like my kiteboards. A recent sponsorship change allowed me to hook up with a company that did not make boards, so I was not locked into a kite specific board that was too heavy and stiff. This gave me the opportunity to see if there was a possibility of working directly with Firewire. We hit it off and started collaborating immediately. My Pro model represents the best of both worlds, taking the incredible shapes and foils of Nev’s 35 years in surfboard design, Firewire’s Future Shapes Technology and combining that with my extensive R&D to determine the best construction for added durability without sacrificing weight or optimum flex. 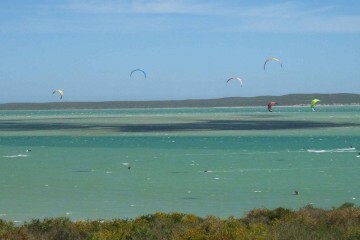 I hope the rest of the kite world will take the opportunity to see how well these boards work for kitesurfing. 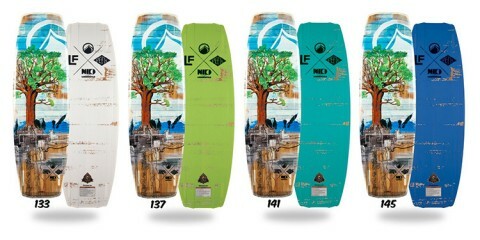 I’m sure these boards will blow your mind like they did to me and I hope that they take your riding to the next level! The KTJ is designed around Taj Burrow’s high performance boards with continuous curves from nose to tail and added tail rocker for extreme turns in the most critical part of the wave.. 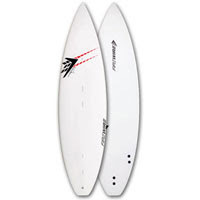 The KQF offers the stability of a flatter rocker with a wider tail and quad fins, while still maintaining a tight turning radius as Firewire’s flex technology increases the rocker during turns. The KFE incorporates a high performance foil but with slightly less tail rocker than the KTJ, offering a blend of performance in all conditions.